Craig Explains the Universe: Episode 3: It has a Laser!! "I find your lack of 20's disturbing." 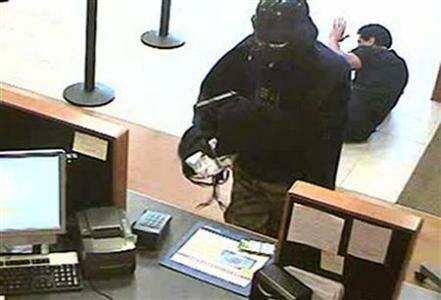 Darth Vader totally just robbed a bank! Times are tough for the Empire. Apparently the Dark Lord of the Sith walked into a Chase Bank branch in Setauket, New York last week with a gun and demanded that the teller hand over the contents of her drawer or he would, "Get medieval on her like her name was Alderaan." Usually when Vader robs banks, he just uses the power of the force to confuse tellers into tossing a few extra hundreds into his withdrawal. The force has great power over the weak minded...and tellers. Apparently Darth has also hocked his lightsaber, as a mere hand gun is not an elegant weapon for a more civilized age. Nonetheless, if you're going to rob a bank...May as well do it as one of the great villains in movie history. As a former bank employee who was once robbed at gunpoint, I don't mean to make light of a crazy person using the threat of violence against bank employees, but even I have to admit that robbing a bank as Lord Vader is pretty cool. 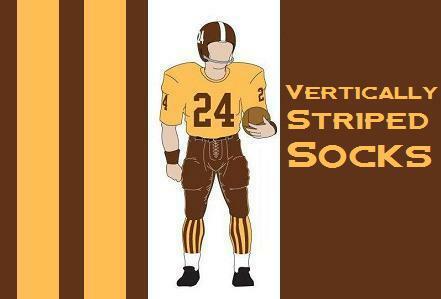 Vertically Striped Radio - Episode 65 - 07-24-10 - "Cleveland, We're not Detroit!" 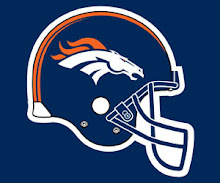 This show is the shot heard round the world in the pseudo war between Denver and Cleveland. Cleveland doesn't win the battle. Craig, Face Ventura, and the Whale navigate through the Week in Wankery, the instructions for The Shek Republic in a week, and a very special Magnificent 7 of why you don't have to say anything to make fun of Cleveland. Although, to be fair, we worked with the Cleveland board of tourism on their new slogan, "Cleveland. We're not Detroit!" which I think should go gangbusters for them. Towards the end of the show, Elevation shows up as does the Ed in what should have been the last 10 minutes of the show. It went MUCH longer than that...Amazingly by Blogtalk standards, all of it recorded, and it gets interesting towards the end. Let's leave it at that. It was the commercial version of VSR, in that we were playing commercials. We didn't get paid for them, though, so I need to rethink my business strategy. The first half of the show was basically a Saturday edition of the Ed Show, as The Ed called in and told Craig and Face about his weight loss plan and showed us his prowess at spelling...The Ed can spell ANYTHING! After the Ed said goodbye, Craig unveiled his Magnificent Seven Semi-Embarrassing confessions...Where Craig revealed that his motto has always been "When it's right it's right." The Vertically Striped Music Recommendation was from Powderfinger, but it sort of blew up half-way through for some reason, so Craig finished up the show by playing the third edition of Doug on Demand. If you enjoy train wrecks, you'll love this show! It might be entertaining, but it definitely went off the tracks a bit...and I think it was better as a result. Definitely listen for The Ed! Craig Explains the Universe: Episode 2: And all the Girlies say I'm pretty White, for a White Guy! Clearly, I'm an idiot. My neck hurt for days after that. White guys, Leave this move to the professionals. I cannot stress this enough. Enjoy! A random defense of soccer when no one is attacking it. 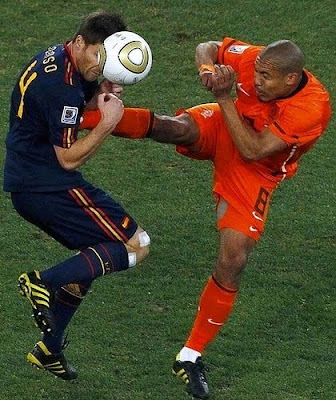 Nigel De Jong brutally kicked Xabi Alonso and was only given a yellow card...He probably should have been given a straight red and then immediately booked by Johannesburg police for assault. And they say soccer players aren't tough! 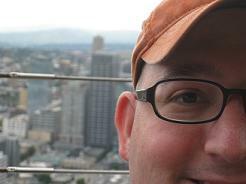 Allegedly, when this site began, it was a sports blog. I don't know if I'm outgrowing sports, or more likely regressing to the point before I liked sports, but it's been less and less about that lately. I don't even know how you'd define this blog right now, other than in love with all things odd...which is perhaps a fitting tribute. 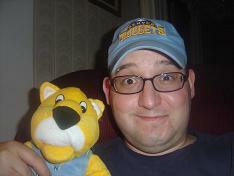 Rest assured, however, that despite the fact that I'm not writing much about sports lately, I am still watching them. Today one of my favorite sporting events ended with a fizzle as Spain defeated the Netherlands (or Holland, or the Dutch; Seriously...those people have a branding issue, pick a name that makes sense and stick with it.) in the Final of the World Cup. However, my fellow Americans, I urge you not to throw out the baby with the bathwater. Soccer is great, and we're getting better at it. We may never win the World Cup in my lifetime, but then again we might. Landon Donovan's last minute goal to thrust the United States into the elimination round of the tournament is one of the few legitimate goosebump moments that have been provided to me by sports over the past year. There were many other thrilling games, including a Uruguay-Ghana game that was one of the more heart pounding events I have ever seen. So, to sum up this rambling post. Soccer is great, go outside your comfort zone and try it sometime. I used to hate it, and now I think it's great. 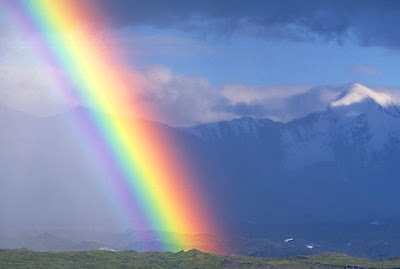 Okay, so this week on Vertically Striped Radio, we had the Rainbow edition of "The Duel." 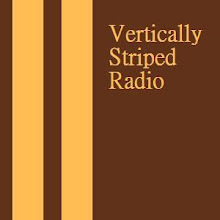 For those unfamiliar with the big fake radio show...(Which can be heard at http://www.blogtalkradio.com/verticallystripedradio)...we occasionally do a segment called the Duel where we face off two similar things to see which the people prefer. This week's Duel had a visual element to it, so I thought I'd post the video over here on Vertically Striped Socks so you could compare and contrast these two perfectly nutty people with each other. If you feel led to vote one way or the other, you can head over to this link on Dameshek.com to vote for your choice. 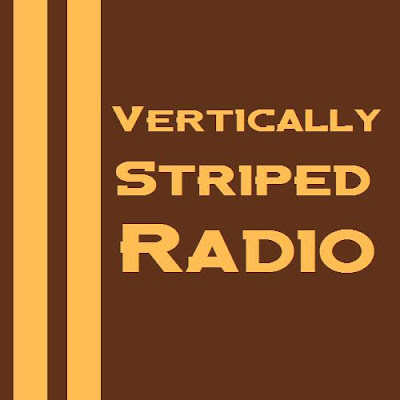 Vertically Striped Radio - Episode 62 - 2nd Annual Sockie Awards plus World Cup Talk! Twas the day before Independence Day, and the whole gang was dressed in their finest formal wear for the presentation of the 2nd annual Sockie awards. The Vertically Striped Academy of Arts, Sciences, and other Neato Stuff broke out the 2010 Vertically Striped Awards for Excellence in the Field of Excellence. The winners were overjoyed, to be sure, and included the likes of Ben Roethlisberger, the color Orange, and even our very own Face Ventura. You could cut the tension with a spork when the People's Choice Sockie award was decided by an on-air coin flip...Congrats to the LCS Hockey Show!! In addition to the Sockies, Elevation, Face Ventura, and The Whale joined Craig to discuss the top seven World Cup "kits" in a very special Magnificent Seven list. Face even did prep for the list, although, he didn't prep his phone sufficiently as both his cell phone and his Skype connection via his laptop died during the show. He was around long enough to get in his very vanilla Top World Cup uniform list in. (Personally, I think mine was better...Denmark? Really??) We also learned about the craziness of Ron Artest, who I find to be likable now after MANY years of finding him despicable. We broke down his post NBA Finals Game 7 press conference craziness. The man likes attention, this much is certain. We also looked in on the continuing saga of the difficulty of being a Self-Help show. (Our thanks to "The Hoff!") We're just so in demand...and remember kids...DON'T drink and drive!!! The Vertically Striped Music Recommendation was "July, July!" by the Decemberists. Happy 4th of July everyone! Craig Explains the Universe: Episode 1: Look! It's a Chicken! Many moons ago, this blog used to be known as "Craig Explains the Universe" so that seemed like an appropriate title for a new video series I'm starting. Basically 1 minute vignettes of me talking about basically anything from basically anywhere. I'll try to make them entertaining, but barring that at the very least I will definitely keep them short. So either way, you win! Enjoy!